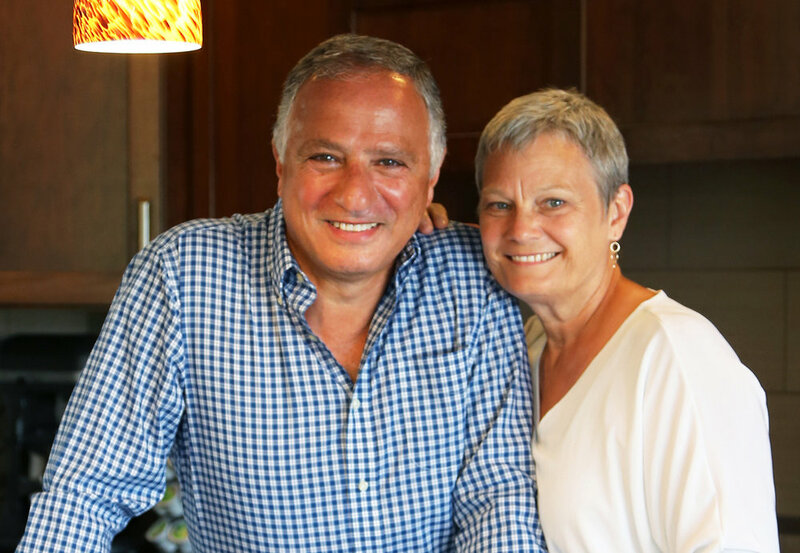 Habeeb Habeeb, President & CEO of BPC & Founder of H Squared, with his wife, Joy. Hi. I am Habeeb. I am a father. I am a husband. I am a brother. I am a friend. I am a CEO. My cup is overflowing. All of us have a story about how we became the person we are today. My story was shaped by a loving family, a dream, and life-changing adversity. 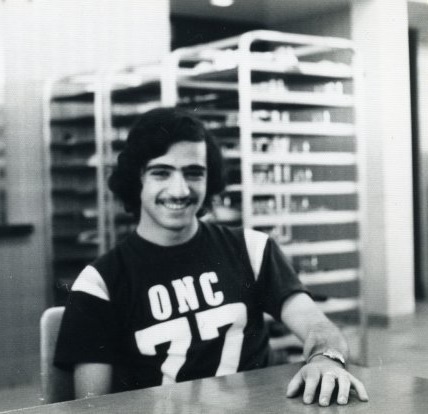 I was a shy 17-year-old who left my home in Lebanon to come to America in 1973. My dream was to attend medical school so I could return to Lebanon to support my family. That dream was coming together until great civil war broke out back home. I lost contact with my family and my parents were on the run, changing towns to escape the war. I did not know if they were dead or alive, how I’d pay for tuition next semester or how I’d eat the next day. I was feeling sorry for myself, and by chance I happened to read two great books: "The power of Positive Thinking" and "How to Win Friends and Influence People". I had to stop feeling sorry for myself. My circumstances did not change, but my attitude did: I realized that I was in America, the land of opportunity. There were no bombs in the sky. I'd better count my blessings, have a proper perspective, bloom where I was planted. My outlook changed, and failure was not an option. Since I did not have a dime, this super shy Lebanese kid had to interrupt his college and gets a job taking orders at the local Arby’s in Bradley, Illinois, and I was incredibly grateful for the opportunity. I learned a lot from that job such as: how to fit in to a small town without losing my identity, erasing stereotypes, flattening differences, overcoming adversity, living with integrity. But the most important lesson I learned was that simple acts of kindness and caring about the other person can take you anywhere you want to go in this world. Because failure was not an option (where would I go to? ), I worked hard. I took orders at the counter, washed dishes, cleaned bathrooms, and within two months, I was promoted to Assistant Manager. I was suprised about being promoted, but apparently because my back was to the wall, I had worked so hard and it paid off. During my childhood, we did not have much money. Always had food on the table, but we were of modest means. However, my parents modeled integrity, kindness, compassion, and peace-making. They were role models and it impacted my behavior here in America, even during my adversity. As I stuck to the values they modeled, it shaped my daily walk. In addition, my faith helped me persevere, and I strongly connected with the story of David after he was separated from his family (Genesis chapter 37-50). You may ask: Why do I tell my story? Many people have similar stories like mine. Maybe they have not moved to a different country, but a different town or a different state. Maybe they faced disruptions and adversity of their own. The world is full of such stories. My story and the kindness of the people I encountered in America compel me to share my story and to encourage and inspire those who are struggling with their own adversity. Everyone has struggles, and if I can inspire them towards hope, perseverance, and integrity, I would be paying it forward. These lessons have carried me through my life and given me success after success in my family, my career, and my friendships. I have a great passion for helping others see and feel the power that gratitude, kindness, and caring about others can have on their own lives. It is a powerful and magical force that will transform their life and make the world a better place. We practice what we preach. Today I lead a company that is built on the foundation of these lessons and we practice it each and every time we serve our clients and colleagues. We were rewarded with repeated recognition: 2006 Small Business of the Year, 2010 Employer of the Year, and 2013, 2015, 2016, 2017 winners of Best Places to Work in Illinois.